Get up on the bridge via the stairs with skid-proof steps and dash down the slide. Get safely into the harbour by checking the sea charts with movable parts. 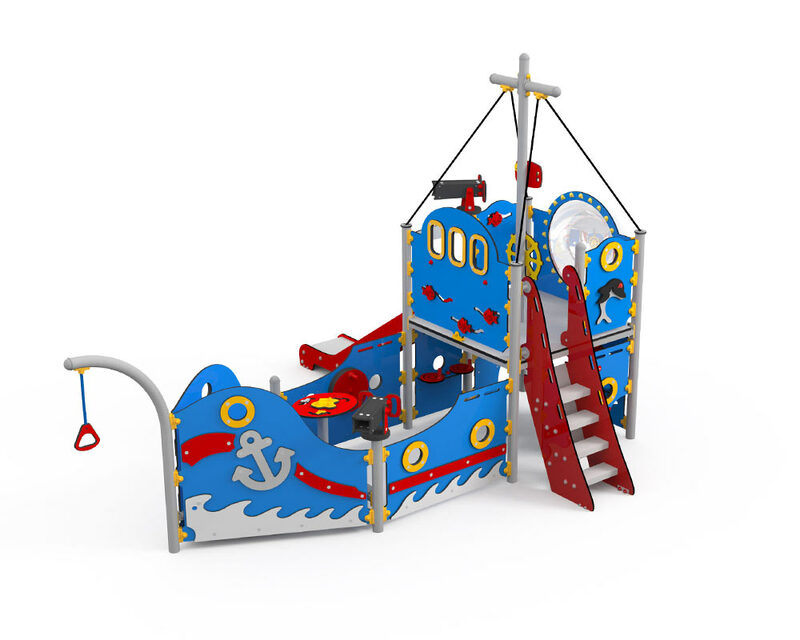 Children will love the possible plays this lovely play house invites to.